Welcome to InterNations! And, since many of you are joining us from abroad, welcome to Brazil and São Paulo! You have by now successfully become a member of InterNations in São Paulo. It's a huge metropolis, and sometimes finding like-minded people in a new city can be quite challenging. But don't worry, we're here to help! The Newcomers' Events are for you to connect with other new InterNations members in a relaxed atmosphere. With a little luck, this event will help you to overcome the first steps of moving to a new place, starting your own network and getting to know other interesting people. Our Newcomers' Event is a small and casual mixer and we'll be happy to introduce you to the other new members and tell you more about what the InterNations São Paulo Community has to offer. You'll receive these invitations for your first 3 months of membership of the São Paulo community - you're allowed to come more than once! Feel free to bring along your international colleagues and spouses or friends as well, but it would be helpful if you ask them to register on the site first. If you encounter any problems, don't hesitate to get in touch with us. 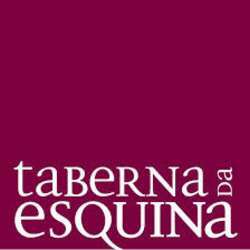 This time we'll take you on a journey to the flavors of Portugal at TABERNA DA ESQUINA, one of our fave meeting point. It was elected as The Best Lunch & Executive Menu of São Paulo 2016 by Veja São Paulo magazine. There, you can mingle with other expats and enjoy an excellent Portuguese menu created by The Chef Mr. Vitor Sobral. Looking forward to meet you there so we can all connect with the other new members!